It can be a real challenge exercising proper portion control at the office, in the schoolyard or on the road. That’s a big issue, because we spend most of us spend the majority of our time in one or more of these places. If you’re managing your weight, blood sugar or metabolism, you know that success doesn’t stop at home, and you need a solution that works wherever you do – and now there’s an easy one. 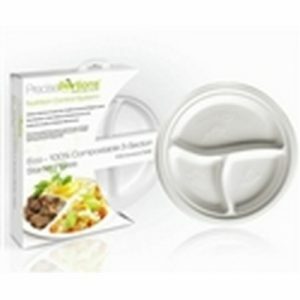 The freshest addition to our portion control dinnerware collection is a covered, sectioned to-go plate. 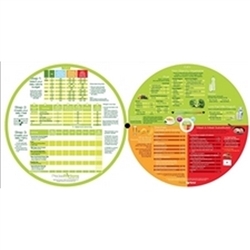 Designed by dieticians, this to-go plate helps you reach your goals by letting you choose the foods you want to eat and portioning them according to the best and most current nutritional guidelines. enjoy lunch again, eating the foods you love and staying on track to achieving your goals! 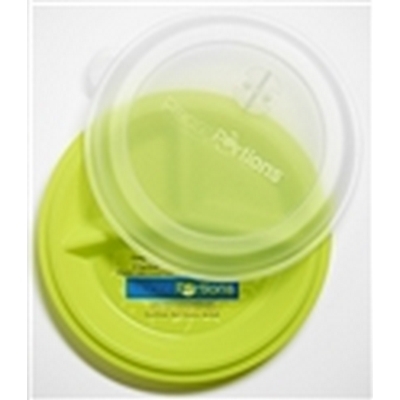 Crafted from durable, dishwasher and microwave-safe plastic and featuring an easy-sealing lid to prevent accidental spills, your new portion control to-go plate is designed to be as discreet as it is effective thanks to its attractive design. Eating a healthy lunch is easier and more enjoyable than ever, even if you’re managing weight, blood sugar or metabolism, because now, you’ve got more freedom of choice than ever before. Just stay inside the lines – healthy eating is that simple. 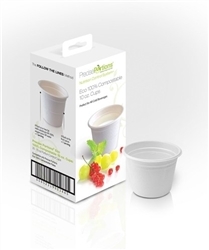 With Precise Portions’ designer portion control dinnerware, it’s really that easy to succeed. Ready to reduce your health risks, reach your fitness goals, and feel great doing it? Get started today!